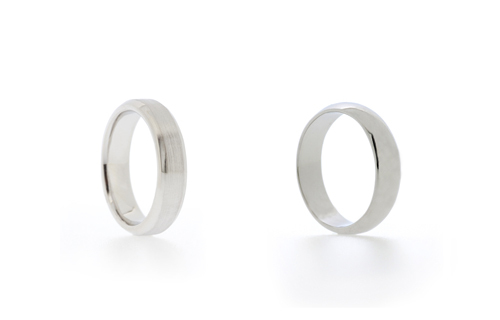 When on the subject of wedding rings, most people will think of Gold or Platinum as the default materials. But are there other options? Muslim men, for example, are not supposed to wear gold rings and naturally have to turn to other options. This can make their wedding ring shopping more difficult as most shops in Singapore carry only gold. Most designs that are found in Gold, can also be made in Platinum or Silver. So what is the difference between these materials? 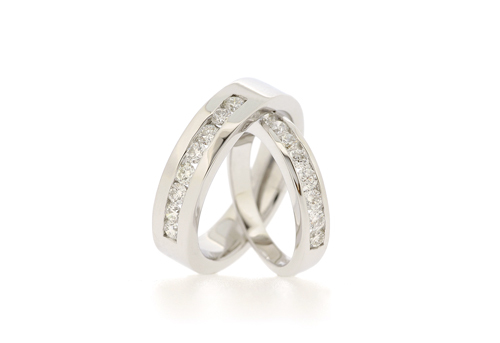 Platinum is the hardest metal and because of its durability it is commonly used in wedding jewellery. Platinum is also more rare than Gold or Silver and as a result fetches a much higher price, which makes it a no-go for buyers on a budget. An affordable option is Sterling Silver, which can also be set with stones. Pair of Diamond Eternity Rings; His in Sterling Silver, hers in 18K White Gold. Silver Rings can be made into a variety of designs, such as flat bands, rings with rounded edges, rings with gemstones or chunky plain bands. With Silver having a lower price tag than Gold or Platinum, it opens up design opportunities that might otherwise be limited by price. Add a fancy birthstone, a symbolic number of Diamonds, or make a solid broad ring that is stylish as well as meaningful. 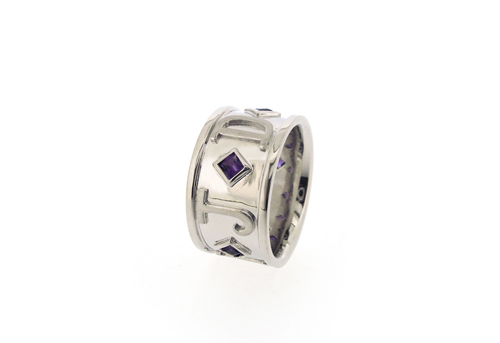 Broad Ring with Amethyst and carved out initials, set in Sterling Silver. If you want to know more about custom making in Silver or Platinum, email info@morethandiamonds.com.sg or call 6235 8873.
exposure! Keep up the terrific works guys I’ve included you guys to our blogroll. Agree with your article above. My fiance n I are looking for silver wedding bands since we got a platinum one before… Our wedding is in dec 2013. Do u have a catalogue for us to view some of ur designs to be made into silver? You can also contact us for an appointment to view samples and discuss design options. Email us at info@morethandiamonds.com.sg or call +65 6235 8873.